The hearing today by the African Committee of Experts on the Rights and Welfare of the Child (ACERWC), of the case of two brothers who were held in slavery in Mauritania, is a ray of hope for the anti-slavery movement, say Minority Rights Group International (MRG) and Anti-Slavery International. 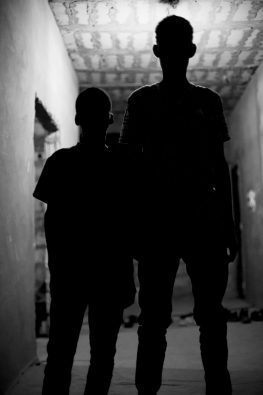 In Mauritania slave status is passed down from mother to child, and the brothers, Said Ould Salem (born 2000) and Yarg Ould Salem (born 2003), automatically became slaves to the El Hassine family at birth. The boys managed to escape in April 2011, and in November, their master, Ahmed Ould El Hassine, was found guilty in the Criminal Court of Nouakchott of holding the brothers in slavery, and depriving them of schooling. In the first and only successful prosecution under Mauritania’s 2007 anti-slavery legislation, he was sentenced to two years’ imprisonment and ordered to pay compensation of MRO 1.35 million (USD 4,700). However, the sentence and the amount of damages awarded were far below the tariff of five to ten years’ imprisonment provided for in the 2007 anti-slavery law. The State Prosecutor did not appeal the lenient sentence immediately, but lodged an appeal only after the lawyer representing the brothers intervened. On 26 March 2012, Ahmed Ould El Hassine was released on bail by the Criminal Chamber of the Supreme Court for the sum of MRO 200,000 (USD 680). His release ignored the potential risks the boys could face, and was in breach of the requirements of the Code of Criminal Procedure. Acting on behalf of the Salem brothers, MRG and SOS Esclaves took the case before the ACERWC, a body of the African Union whose role is to urge States to comply with their obligations under the African Charter on the Rights and Welfare of the Child. The case was lodged before the ACERWC in December 2015, and a decision declaring the case admissible was reached in September 2016. So far, the Mauritanian government has not responded. The rights organisations assert that Mauritania is in breach of the Charter through its ongoing failure to ensure the effective prosecution of all those responsible for holding Said and Yarg in slavery, preventing their schooling, and using corporal punishment against them. ‘Finding the case admissible and the subsequent hearing demonstrates that not all is lost in the efforts to achieve justice for Said and Yarg; a case that symbolises the fight against slavery in Mauritania,’ said Boubacar Messaoud, President of SOS-Esclaves. Slavery based on descent remains widespread in Mauritania, where it predominantly affects the Haratine group. They are treated as the property of their masters, living under their direct control and receiving no payment for their work. Men primarily herd cattle or work on their masters’ farmland, while women are mostly engaged in domestic work, carrying and nursing the masters’ children and shepherding animals. Despite the country’s legal and institutional framework to protect against slavery and punish slavery-practices, in particular in the adoption of the 2007 Slavery Act and the 2015 Act which replaces the 2007 law, there has been a lack of political or judicial will to enforce the law. 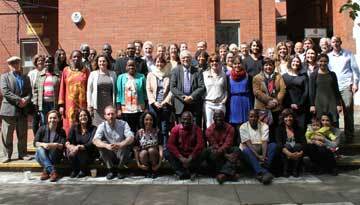 Anti-Slavery International works to eliminate all forms of slavery and slavery like practices throughout the world. Founded in 1839 by British abolitionists, it is the world’s oldest international human rights organisation.